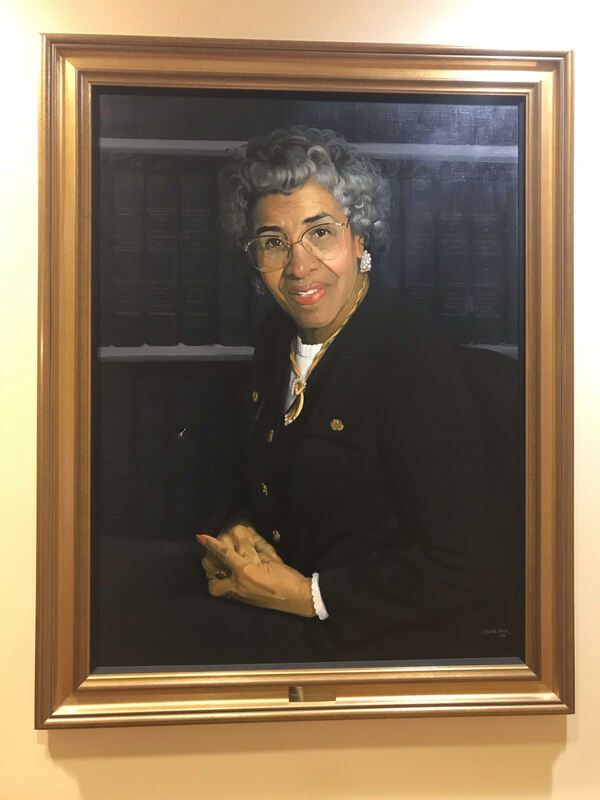 If you’ve walked on the second floor of the James Senate Office Building in Annapolis, you can’t help but notice a striking painting of former State Senator Verda Welcome. Many pass her likeness every day unknowing her legacy and the fact that she was the very first African-American Woman State Senator elected in the entire United States. Born on a small farm in western North Carolina in March of 1907, Welcome’s life spanned a gulf of social change that many in her generation encountered. One of fifteen children born to John and Docia Freeman, Welcome came from a determined and hardworking background that she truly lived to embody. Seeing education as the way to build a better life for herself, Welcome came to Maryland in 1929 to pursue that education at Coppin State Teachers College in Baltimore. After completing her studies at Coppin State in 1932, she then put her education to work teaching in Baltimore City Schools starting in 1934. While working, Welcome then went on to Morgan State College where she received a bachelor’s degree in history in 1939 and then in 1943 a master’s degree in history from New York University. Following her distinguished career in education, Welcome chose a different avenue for public service in the political realm. A long-time community advocate, she was elected to the Maryland House of Delegates in 1958 behind a groundswell of grassroots community support. She then went on to continue making history in 1962 when she was elected as a Maryland State Senator and thus became the first African-American woman to be elected as a State Senator anywhere in the United States. In the legislative career of Verda Welcome, her constituents always came first. She was dedicated to those who entrusted her to represent them and she advocated veraciously for anti-segregation and equal pay/equal work legislation designed to improve the lives of all Marylanders. Welcome’s service however didn’t come without a price as she was disliked by many for her work toward equality. She even survived an assassination attempt in 1964 where she was grazed by two gunshots. Undeterred, Welcome fought on and continued the work that she knew that she was called to do. Distinguished among her local and national peers, Welcome was selected three times as a Delegate to the Democratic National Convention in 1968, 1972, and 1976. Additionally she was inducted to both the Maryland Women’s Hall of Fame and the Baltimore City Women’s Hall of Fame. Achieving countless local and national accolades, Welcome left Annapolis upon her retirement in January 1983. Because of her hard work and spirit of justice, she left her state and her community very different than the way that she found it. For that, all Marylanders should be truly and eternally grateful to Senator Verda Mae Freeman Welcome.